Traditional methods of acquiring neck and ring items are still present in the game, and not made obsolete with the introduction of Jewelcrafting. Developers made trait research intentionally long and obtaining materials difficult to ensure existing items aren’t made obsolete, and to avoid having players acquire the best jewelry quickly. 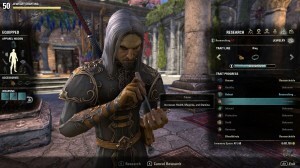 In order to access jewelry crafting you must own ESO: Summerset expansion. 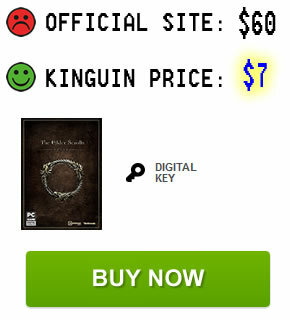 Having an ESO+ subscription doesn’t count, you will specifically need to purchase Summerset DLC. Players who do not own this Chapter are unable to craft rings and necklaces, but they are still able to gather raw resources from nodes found in the world. Even if you don’t own Summerset, you can still equip items crafted by other players. 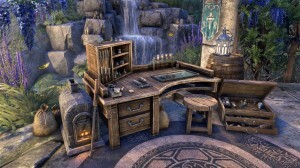 Jewelry crafting stations are located in towns and cities next to all other crafting stations. This includes item set crafting locations. Item set bonuses can now be crafted on rings and necklaces in the same way as on other equipment pieces. Note: to start doing jewelry crafting daily quests (writs) you need to complete certification quest given by High Elf Felarian in Alinor. More details in Jewelry Crafting Writs section below! 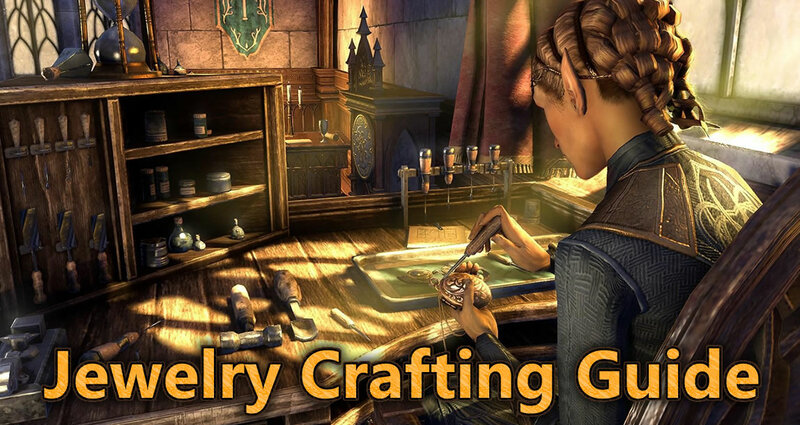 Jewel crafting stations allow you to create new jewelry, refine raw crafting materials, deconstruct existing jewelry, upgrade quality, or research jewelry traits. 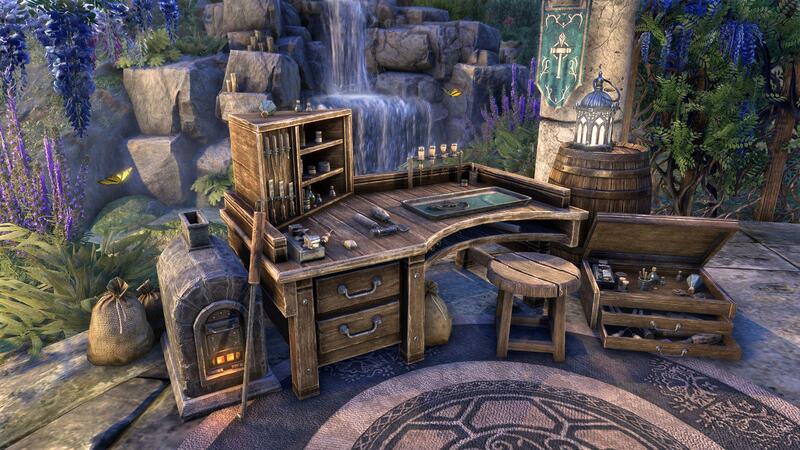 Master Writ Merchants allow you to buy jewelcrafting stations for your home, but you can still use the stations only if you own Summerset. To craft jewelry you need to harvest “Seams“. These nodes provide raw (unrefined) materials called Dust, which can be refined into “Ounces“. 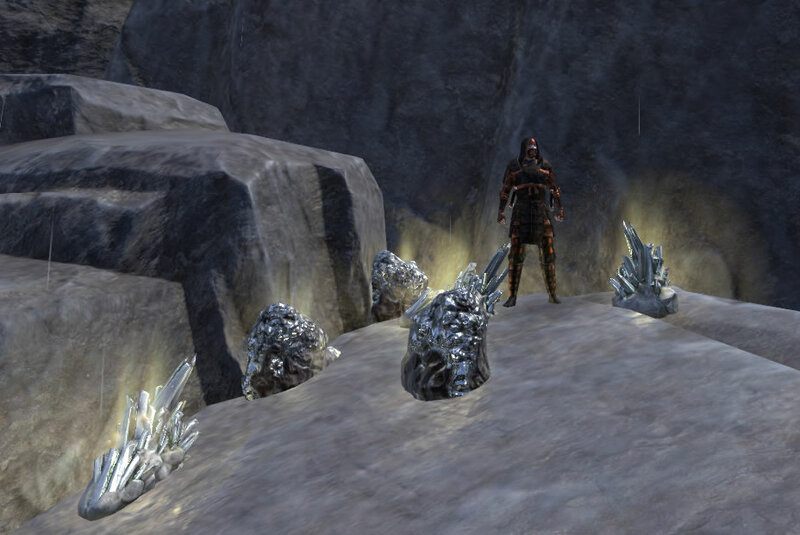 Seams are found throughout Tamriel, and can be gathered by anyone regardless if they own Summerset expansion or not. To craft jewellery you first need to refine the raw materials. This is done by simply visiting any Jewel Crafting station in the world. 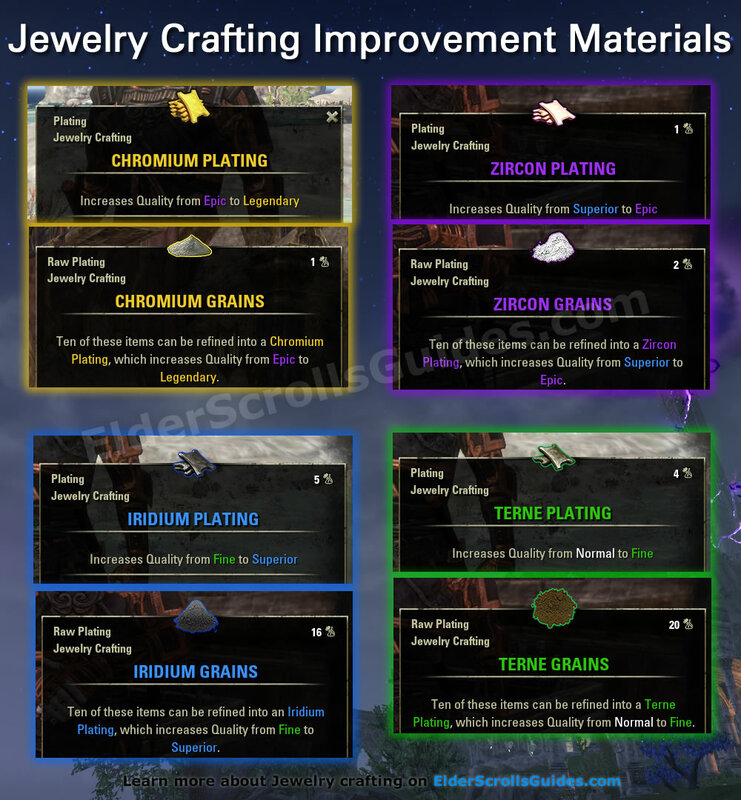 You do not need to invest skill points into the new JC skill line to refine higher level materials, but you need points in “Engraver” to craft higher level jewelry. Engraver (5) – Allows you to use higher level materials. First rank is granted for free when you obtain the skill line. Keen Eye: Jewelry (3) – Highlights resource nodes with a subtle glow in the world. Jewelry Extraction (3) – Increases your chance to receive materials when deconstructing existing jewelry, and increases your chance to get higher quality Grains when refining raw Dust. Lapidary Research (4) – Reduces the time required to research jewelry traits. Numbers in brackets indicate how many total skill points can be attributed. Fully maxed jewelcrafting skill line requires 17 skill points. 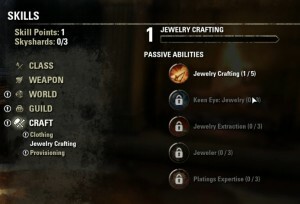 Much like other crafting skill lines, jewelry crafting also includes a number of must-have passives. Below is a short breakdown of these passives giving new players an idea on how many skill points they might need to spend. Spending points into Engraver is a must if you intend to do high level crafting. Keen Eye is very much optional, but it helps to spot gathering nodes in the world. You can spend just one point for the glow effect, but the radius increases with additional two points. I’ve found Keen Eye mostly unnecessary as Dust Seams are fairly easy to spot in the world. 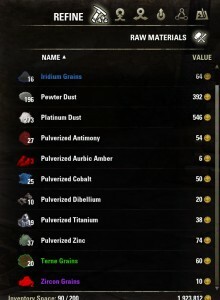 Refining raw Dust with points in “Extraction” gives you a greater chance to receive Grains and Pulverized trait items. Refining Grains and trait materials has no byproduct. Jewelry Extraction is beneficial if you want more materials, and highly recommended. Note that you can NOT deconstruct items obtained prior to Summerset patch. Jewelry which can not be deconstructed has a special “This cannot be deconstructed” note in the item’s tooltip. Without points in Extraction refining raw Dust is not worth it, in which case it would be best to sell it raw on guild stores to maximize your gold. Lapidary Research is recommended as well. Trait researches take a long time, and these skill points can help you unlock additional traits quicker. You can remove the points later once all your researches are done. Platings Expertise is essential if you want to craft jewelry. 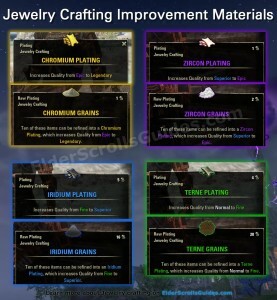 High quality upgrade materials for jewelry crafting are rare and very expensive. Excess upgrade materials are easily sold on Guild Stores. Other crafting professions allow you to research multiple traits simultaneously. With jewelry crafting you can only research one trait at a time. This means you can not even research separate traits for rings and necklaces. 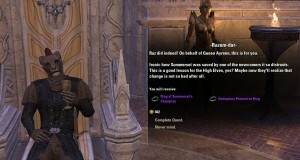 Rings and necklaces with traits drop all over Tamriel from a wide range of monsters and activities; more on this below. Researching a trait will require an existing item with the trait. Time required to research jewelry traits is the same as with other professions: starts at 6 hours, and doubles for each consecutive research. This can be reduced by up to 20% by investing skill points into “Lapidary Research” passive. Jewelry Crafting Research Scrolls are available from Faustina Curio, the Achievement Mediator. These scrolls cost 10 Writ Vouchers, and require the “Jewelry Crafter” achievement. Scrolls have a 20-hour cooldown and reduce current research time by 24 hours. Existing jewelry before Summerset potentially had Arcane, Healthy and Robust traits, adding magicka, health or stamina respectively. These items can be used for research purposes even if obtained before Summerset. The expansion however introduces six new traits, including Protective, Triune, Infused, Swift, Harmony, and Bloodthirsty. Table below includes a breakdown of new jewelry traits, including materials required to craft them, how to get materials, and where to obtain items for trait researches. Triune Increased health, stamina and magicka. Dawn-Prism. Purchased from War Researchers in Cyrodiil for 100,000 AP. Found in Gladiator’s Rucksacks obtained from Conquest Board dailies in Cyrodiil. Infused Increased enchantment effect. Aurbic Amber. Acquired from Psijic Portals in raw or refined form. Chance to drop from Psijic Portals. Protective Increased physical and spell resistance. Titanium. Rarely from all Seams in Tamriel, more frequently in Seams on Summerset. Ring awarded from Summerset main quest line. Neck from Psijic Order quest line. Swift Increased non-mounted movement speed. Gilding Wax. Purchased from Master Writ Merchants for 20 Writ Vouchers. Chance to get when completing daily Jewelry Crafting Writs. Harmony Increased synergy effect. Dibellium. Chance to receive from daily dungeon LFG mails. Chance from Undaunted Reward chests. Bloodthirsty Increased damage against low-health enemies. Slaughterstone. Acquired from weekly Trial quest reward boxes. Chance to obtain in weekly Trial quest reward boxes. Jewelry also has Intricate and Ornate traits. These two traits can only drop and can not be crafted. Intricate trait will increase your jewelry crafting profession experience gain while deconstructing. Ornate trait simply means you receive extra gold when selling it to NPC vendors. Tip: Intricate jewellery of any level sells for 500g and more on guild stores. Consider selling it in case you’re not looking to powerlevel your jewelry crafting. 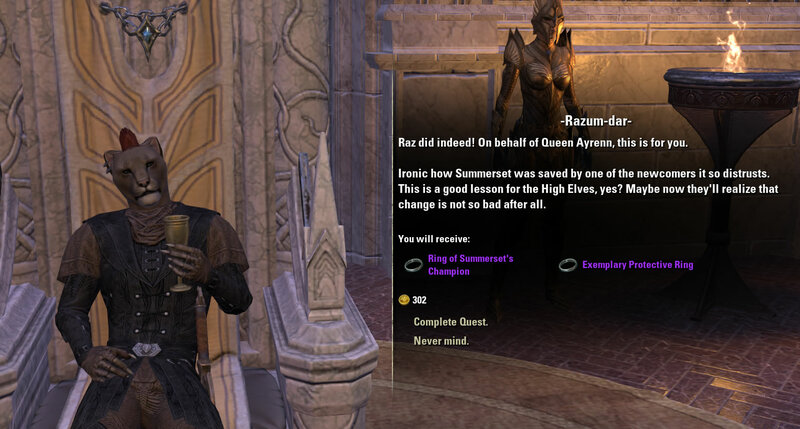 Protective trait on ring is rewarded for completing Summerset’s main story line quest. Materials required for crafting traits on jewelry are obtained by deconstructing, or via specific sources as shown on the table above. 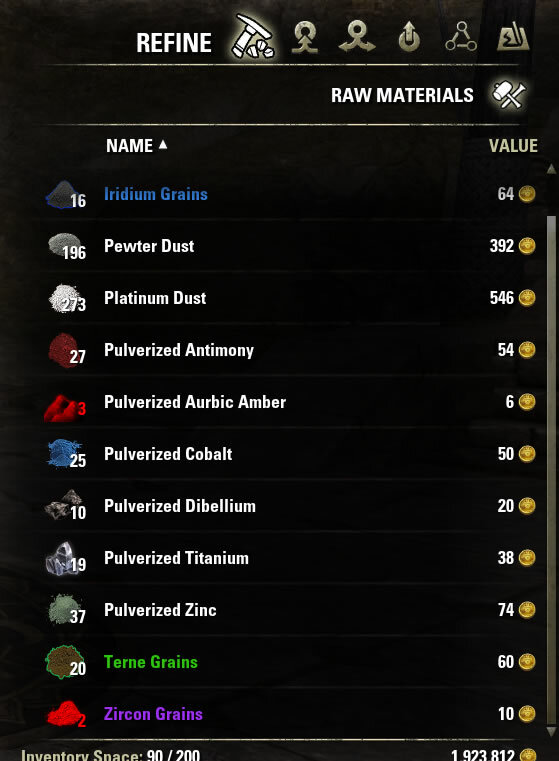 In most cases you will obtain trait materials in raw “Pulverized” form: 10 pulverized materials (grains) must be refined into Platings at a jewelcrafting table before they can be used. Of course, trait materials can also be purchased from other players. New players who are unfamiliar should see our Traits guide for more information. Improvement of jewelry via upgrade materials is very important. Existing rings and amulets obtained before Summerset can be upgraded as well. Legendary quality jewelry was previously obtained in Trials, but jewelcrafting profession enables you to upgrade all existing or newly crafted or dropped items to Legendary quality. Jewelcrafting upgrade materials are called Platings (previously Bars). One Plating is obtained by refining 10 Plating Grains. Grains are acquired via refining Dust (raw JC materials) into Ounces (usable JC materials). Confused yet? Grains obtained via refining raw materials are of random quality, and epic and legendary grains are rare. You can also obtain Grains by deconstructing jewelry of the same quality. Despite a lot of new and potentially confusing names, jewelcrafting improvement materials function in essentially the same way as Tannins, Resins and Tempers. Legendary upgrade materials (Chromium) are intentionally made very rare to ensure the best jewelry is hard to obtain. Once again, keep in mind that any jewelry obtained prior to Summerset’s release can not be deconstructed for materials. All jewelry after release can be deconstructed. Additionally, jewelry with new traits does not drop on existing item sets. If you want to add new jewelry crafting traits to existing item sets you must re-trait them at a Transmutation Station. You will need the desired trait researched before you can transmute it. Crafting Writs for jewelry crafting are available. To begin your Jewelry Crafting Certification quest speak to High Elf Felarian found near crafting stations in city of Alinor in Summerset. High Elf Felarian can be found at approximate coordinates 33×70; southwest from Alinor’s wayshrine, just before the area with crafting stations. Felarian gives you jewelry crafting certification quest. He’s located in Alinor, and exact location is marked with a red circle on the map. Once you are certified you can take jewelry crafting writs from any board in the world. Completing your daily jewelcrafting writ quest gives you a chance to obtain a Master Writ. Jewelry Crafting Master Writs award Master Writ Vouchers, which can be used to purchase items from Rolis Hlaalu, the Master Writ Mediator. Tip: Learning additional traits increases your chance to receive Jewelry Crafting Master Writs. Jewelry crafting master writs (not to be confused with daily quests) are unfortunately not worth completing as upgrade materials are far too expensive. Daily jewelry crafting writ quests can also reward you with a Jewelry Crafting Survey Report. As with other professions, jewelcrafting survey reports lead you to a large cache of Rich Seams containing lots of raw Dust. Jewelry rafting surveys are very profitable due to high prices of upgrade materials. Each writ should award you with around 100 Dust worth roughly 5,000g. Jewelry crafting survey report locations and coordinates are below. You can click the links for more information including exact locations on zone maps. Exact locations can also be found on Survey Report Maps. 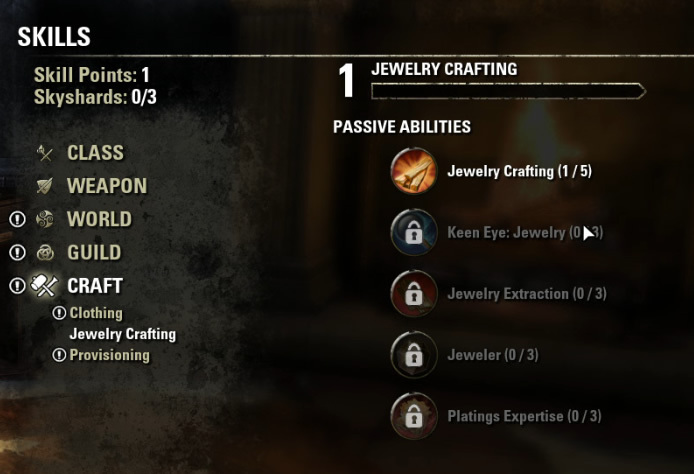 Jewelry Crafting is a highly anticipated profession in The Elder Scrolls Online, one that was requested by players countless times. The ability to craft rings and necks is very important for players who want to maximize set bonuses. The ability to finally craft legendary jewelry is exciting, and new traits enable additional build and customization options. Hopefully this guide explained a few basics of jewelry crafting, and as always be sure to refer to comments below for any questions, thoughts or suggestions. Published 374 days ago This entry was posted in Guides and tagged crafting, equipment, professions, tradeskills. Bookmark the permalink.